Benchmark reports are an essential tool for estimators in determining accurate prices for project estimates. Knowing the history, trends, unit rate spreads, and variances on historical projects, can make all the difference between an accurate estimate – based on good information – versus a wild guess. 4castplus today announced the release of key new estimate benchmark reports to provide cost estimators with powerful reference tools for historical resource rates, historical estimates, trends and quantities. Evaluating benchmarks on historical projects and results is a basic staple of any good estimator’s toolkit. The challenge estimators face has always been getting access to that information in a simple and flexible format. On top of that, they need to trust the numbers in those reports as being both accurate and relevant to their situation. 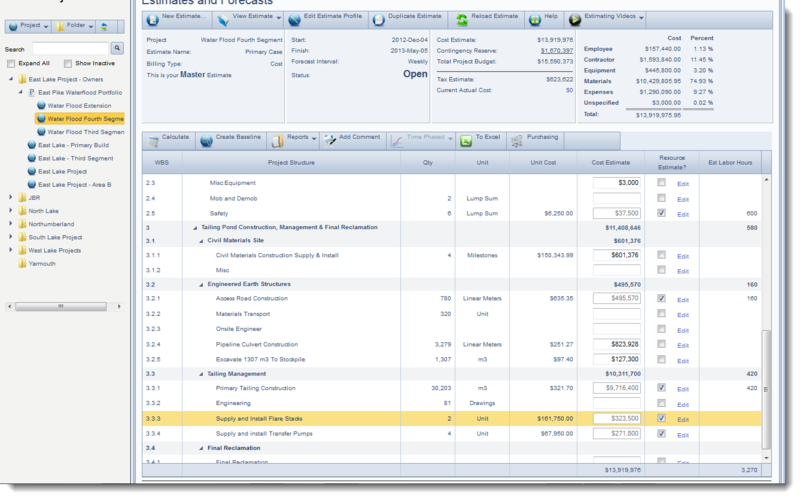 As a complete construction estimating software solution, 4castplus delivers the right tools and reports in an easy-to-use cloud-based project management system. As any estimator will tell you: you need to know the past to be able to reasonably predict the future. A ‘benchmark’ report gives the estimator a wealth of historical information to make those cost predictions. Historical information refers to an organization’s past usages, prices, quantities and suppliers of materials, equipment and subcontractor resources. 4castplus can import historical projects and results so that clients new to the system can benefit immediately from these key reports. As time goes on and more and more projects are captured in 4castplus, these reports become even more rich with critical data. 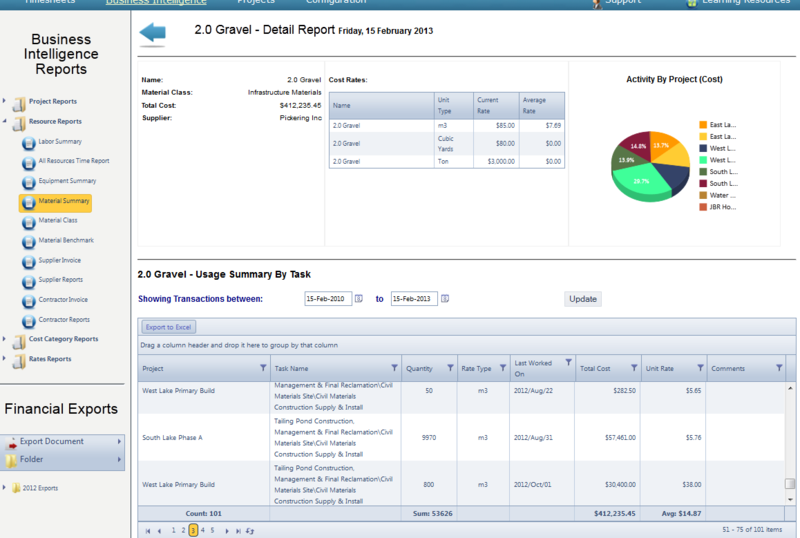 Reports are interactive so the user can group by any of the above data items to pivot the report into a variety of views. The estimator can also set a date range to evaluate benchmarks during certain time periods to examine date trends. They can also sort and search results to further refine the investigations. A quick click to export the results to Excel brings up a nicely formatted report in Excel for further data mining. Utilizing third-party data libraries to cross-reference rates can be of some help, but most estimators will rely mostly on benchmark data coming from their own historical projects. They need to know their own past results over and above anything else. Estimators will depend heavily on the benchmark reports when estimating new projects to ensure and validate accuracy. In the estimating worksheets, 4castplus will populate the pre-configured rates for all resources as the defaults used in estimate line-items; but estimators can override these pre-configured rates with plug values on the fly. They can additionally account for any risk of price escalations due to unknown conditions that may play out on longer projects. They can enter remarks and justifications to explain the override; and apply time-phased budgeting to the total. Procurement teams will also leverage benchmarks when validating and negotiating rates from vendors during the RFQ and/or purchase order procurement phases. 4castplus is the first web and cloud-based solution to offer total real-time Project Cost Management in a single powerful software tool. With its performance-driven features, 4castplus delivers a centralized and streamlined solution to Construction, Energy, Utilities and EPC organizations. Features that include: Estimating, Time-Phased Budgeting, Change Management, Procurement, Real-time Project Tracking & Reporting for LEM, Purchase Order Management, Cash-Flow Reporting, Customer Invoicing, Document Control, Schedule Integration, and Forecasting for Earned Value Management. 4castplus helps companies around the globe get better project results while enhancing their competitive edge; all at a low total cost of ownership that delivers up to 30 times ROI. For a quick tour of features, visit the 4castplus Quick Tour. Sample benchmark report showing material usage from historical projects.Estimate quantities, actual quantities, estimate costs actual costs, vendor and purchase order are all tracked Sample single-material benchmark reportEach material usage transaction is tracked and trended for lookup during estimating Sample cost breakdown structure of simple estimateDetail resources, costs, quantities for full detailing on estimates.